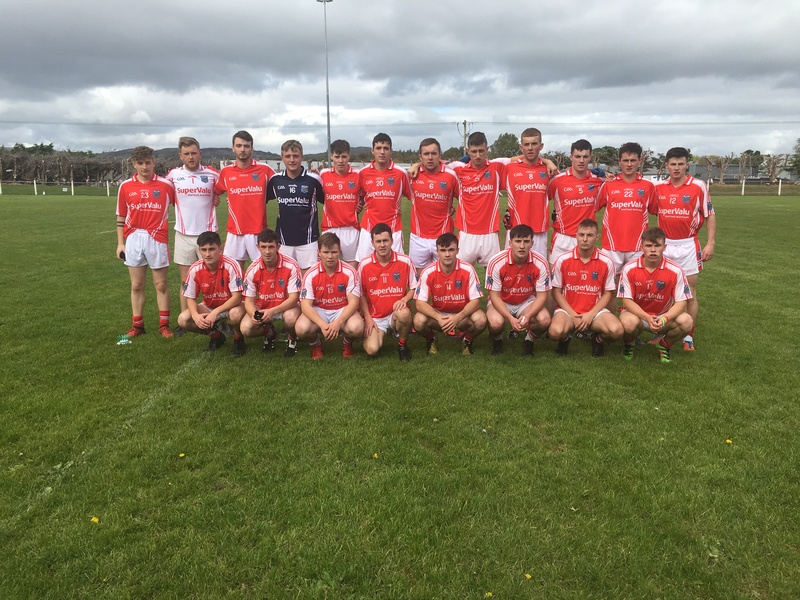 Despite a slow start it was Douglas who emerged who emerged winners from the County Under 21 round 1 encounter with Beara played in Dunmanway last Sunday. It was Beara who opened the scoring when Gary Murphy pointed a free in the 2nd minute. In the 5th minute Beara keeper Declan Dunne made a superb save from Douglas midfielder Brian Hartnett, and Douglas full forward Conor Russell slotted over the resulting 45 to leave the scores level 1 point each. Beara continued to dominated in the early stages with Ciaran O’ Sullivan leading the charge in midfield and Garry Murphy tormenting the Douglas defense. Murphy slotted over 3 successive points from play and another from a free to give Beara a 4 point lead after 15 minutes. James Harrington kicked over a point from Beara in the 19th minute as Beara lead 6 points to 1. This was as good as it got for Beara as Douglas kicked into action. A point from Dylan Ward in the 21st minute was quickly followed up by a goal by Conor Russell. Liam Dinneen kicked over a point in the 23rd minute. A powerful run by center back Sean Wilson in the 26th minute set up Conor Russell for his 2 goal and Shane Kingston finished off the 2nd half scoring with a point in the 30th minute to leave the half time score Douglas 2-4 Beara 0-6. Douglas started brightly in the 2nd half with 2 quick points from Sean Wilson and Sam Collins . Beara were unlucky in the 33rd minute when James Harrington shot hit the crossbar but Richard Murphy slotted over the resulting opportunity. Douglas full forward Conor Russell kicked over 3 points in a row , including 2 from play give Douglas a 2-9 to 0-7 lead after 45 minutes. A great run from Dylan Ward saw him slotting over another Douglas score in the 46th minute and a minute later Conor Russell completed his hat- trick with a well taken goal. Douglas rounded off their scoring with another point from Russell and further scores from Liam Dinneen, Shane Kingston, James Holland and substitute Matthew McAuliffe. Beara’s Gary Murphy had a late point to leave the final score Douglas 3-15 Beara 0-8. Douglas: David O’ Keeffe, Dylan Ward, Donnacha Murphy, Diarmuid O’ Mahony, Brendan Powter, Sean Wilson, Cathal Sheehan, Brian Hartnett, Niall Hartnett, Liam Dinneen, Shane Kingston, Sam Collins, James Holland, Conor Russell, Darragh Kelly. Subs Matthew McAuliffe, Robert O’ Mahony, Brian Lynch, Joseph Harte, Shane Donegan.